The ocean is one of the final frontiers left on the Earth that remains relatively unexplored, with only a projected 5% of the world’s seas explored and mapped by humanity. 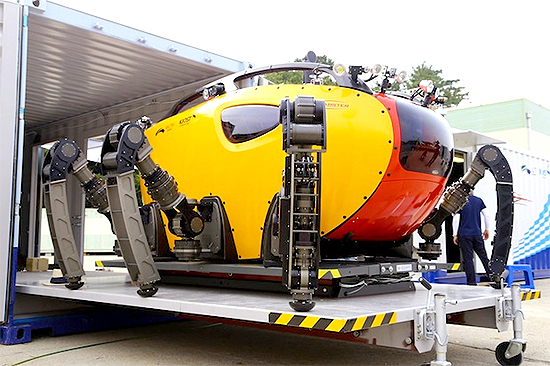 Researchers at the Korea Institute of Ocean Science and Tech hope to solve this problem with their experimental deep-sea robot, titled the Crabster CR200. The Crabster has been in development for over 3 years, and is finally nearing completion. 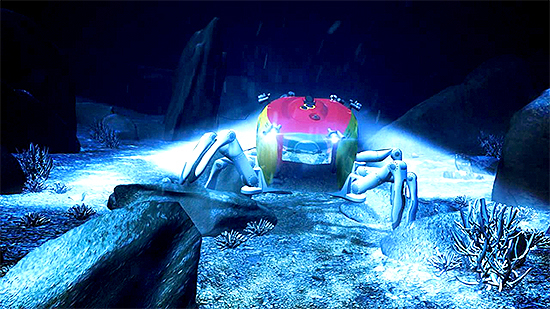 A new video released by the researchers shows the first documented footage of how the Crabster moves, only releasing still photos and 3D animations beforehand. The 1,400 pound robot is designed to explore the ocean floor to explore unreachable areas and sunken wrecks up to 650 feet deep, using its six legs and 10 optical cameras in order to navigate in the depths. The robot, while able to swim using conventional thrusters, will be completely silent as its walks on the ocean floor, allowing scientists to observe and examine otherwise easily frightened species of fish and other creatures. Full-depth tests scheduled to begin this spring, which will show off the Crabster CR200’s prowess under the ocean.